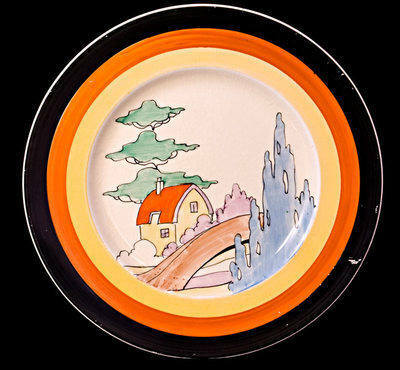 Plate in the Orange Roof Cottage pattern. Size is 9 inches wide. No damage or restoration. Slight scuff to the banding. Not marked. Price £325.